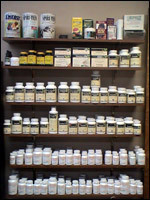 Valley Chiropractic has a large selection of quality vitamin supplements and products to help you obtain the optimum health you are striving for. To help assist that challenge we are giving you an opportunity to receive a 10% discount on any vitamin, biofreeze or other product. Simply let the staff know you saw our online special for your 10% discount. It is that Simple.